Clean Yard Program: IDEM has partnered with Automotive Recyclers of Indiana, Inc. (ARI) to develop a new recognition program to reward auto salvage yard operators that meet two different levels of requirements. This program is called “Indiana Clean Yard” and the awards are called “Indiana Clean Yard” and “Indiana Clean Yard – Gold Level.” Call ARI for more information. ARI Board of Directors: The Board oversees legislative issues pertaining to Indiana auto recyclers. ARI engages in lobbying efforts and has established relationships with government and environmental agencies including IDEM and the DMV. Education and Training Opportunities: ARI provides educational programs, social events, yard tours, and networking opportunities with fellow recyclers. The ARI Newsletter: The newsletter includes industry news, a complete listing of the membership, updates on legislative and environmental affairs, and lots of other interesting information useful for the day-to-day operation of your business. ARI Summit & Trade Show: This event is designed to bring recyclers, industry supporters and vendors together from all over the country to network, educate, and provide and encourage camaraderie. We invite our fellow recyclers from surrounding states to attend our convention and trade show to strengthen relationships within the industry. All members are listed on the web site with all of your information, including a link to your web site, if available. Calendar of Events, as they are scheduled. Parts Search, an opportunity for each member to sell parts. Suppliers list, a complete list of suppliers, associate members of ARI. All contact information for the ARI Board of Directors and Staff. Staff accessible to answer all your questions, or find the answer for you. Information friendly, ask ARI to email the membership with an article or question you may have. 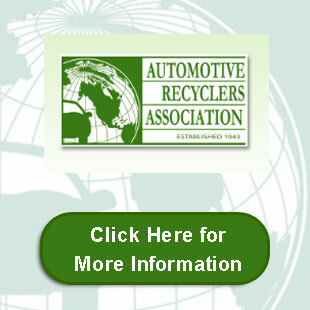 ARI is a member of the Automotive Recyclers Association, the only international association representing the professional automotive recycling industry. ARI is active by participating on the Affiliate Chapters Committee, attending the ARA Annual Conventions and sharing that information with ARI Members. All recyclers encouraged to join ARI and make a difference by getting involved. Support your state association and reap the great benefits of membership.